These giant rings are all the rage. See how they shine, sparkle, and look great on your fingers! 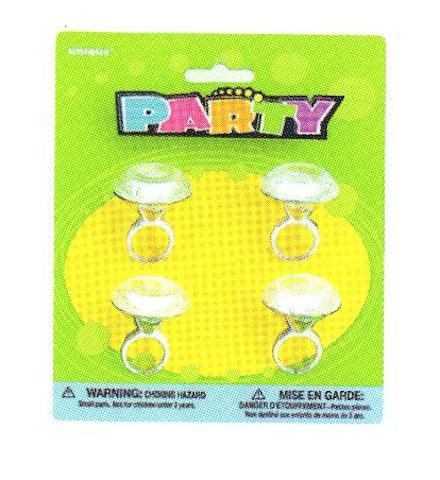 Great party favors for princess parties with all the glamour! $ rings per pack.